Greetings from the Renewables Innovation Hub, in Canberra, where I have been attended a workshop on the Energy Efficiency Improvement Scheme (EEIS). This is a suite of measures to reduce energy and greenhouse gas emissions. One proposal is to provide incentives for Demand Response (DRM) capable air-conditioners. Some participants pointed out that while there were many DRM capable units already installed, few were activated. So I suggested the ACT implement a DRM controller and require all units under the scheme to be connected to it, unless they were connected to an alternative DRM controller. This would provide the ACT with a virtual (and much cheaper) alternative to South Australia's big battery. I was amused to read in John Davidson's "Three gadgets to give your computer the facelift you so richly deserve" (AFR, 18 February), that I could upgrade my computer with a new keyboard and mouse for less than $450. My computer only cost $298, so it would seem a false economy to upgrade it with peripherals costing 50% more than the computer. I did upgrade my computer with a wide-screen LCD desktop display. This cost nothing at all, as I found it on the roadside on rubbish collection day. For those not willing to try a road-side upgrade, I recommend the tip-shop or charity. There are peripherals in abundance for a few dollars. If you want to refresh a very old computer, then an upgrade to Linux will breath new life into it. I am reluctant to but a second hand laptop, but even a new one is not going to cost around $500. I walked into the UNSW Canberra Library at the Australian Defence Force Academy (ADFA), as I have done every few weeks for many years. But this is the first time someone has rushed up, handed me two heart-shaped chocolates and asked me to write them a love letter. Well, not to them, but to the library. So here it is, to Canberra's academic libraries. This love of libraries was not one which started early. At school, the library was more of a chore, than a pleasure (except for the forbidden books locked away). The local public library was too far away and intimidating to enter (looking like a courthouse). Recently I visited where I grew up, and there is a new "Wynnum Library", very welcoming and accessible. I spent an hour browsing and recharging my laptop. It was controversial, being built on top of a supermarket, but I like it, because it looked like an airport business lounge, not a courthouse. My love of libraries came later in life, first as somewhere to sleep at university, before the next party. Then much, much, later, somewhere to find knowledge. One of the wonders of Canberra's (and most of Australia's) public and academic libraries is that they are open for anyone to walk in. In some countries, you have to show your ID to enter a public library and the public is not admitted to university libraries at all. Canberra's libraries give generously of their facilities. This does not involve just keeping copies of other people's books. Along with having an excellent cafe and bookstore, the National Library of Australia (NLA) had a central role in getting the Australian Government on the web. In the 1990s a cabal of politicians, public servants, academics and industry people were working on making government information freely available online. At the time this was contrary to government policy: the government sold information, on paper, in its bookstores. It was decided each government agency would create a website. But there would need to be a central index and none of the central agencies wanted to do it. So the National Library of Australia stepped in and created the Australian Government's first home page. This was so successful that government policy was changed. In my closing address for the 1998 Information Industry Outlook Conference in Canberra, I argued that Australia could emulate Cambridge (England) as a high technology industry center. I could put this confidently, not only because I had been and talked to the people doing it in Cambridge, but because I had read a book. Not really read the book, so much as devoured it. In the ANU's Hancock Library I found Segal Quince & Partners 1985 report on "The Cambridge phenomenon: the growth of high technology industry in a university town" (still in the ANU library). Over several days I made notes, appropriately, on a Cambridge Computer Z88. I included that Summary in a book, which is mentioned occasionally by Cambridge scholars (who apparently had difficulty finding a copy of their report). Technology companies are now springing up in Canberra, next to the ANU campus. Two decades later, I became almost by accident a mature age graduate university student. My studies were in online education and mostly conducted online, at institutions 1,000 km and 13,000 km away. But I found e-books not ideal for intensive study and was delighted to discover that all of Canberra's university libraries would let me borrow books. Most useful for education studies were the small and friendly Australian Catholic University library and UNSW Canberra. UNSW Canberra had a collection of books published decades ago by Open University UK (OUUK) on how to design, plan, budget and deliver distance education. These books had been overlooked in a rush to MOOCs as a new form of education, but many of the problems and solutions discovered with MOOCs has already been addressed decades ago by OUUK. I left the Department of Defence in 1999, but DoD have now followed me to the ANU (paying for an extra floor in the new ANU Computer Science building). So its back to UNSW Library to brush up on cybersecurity. Greetings from the ANU Climate Update 2018 at the Australian National University in Canberra. 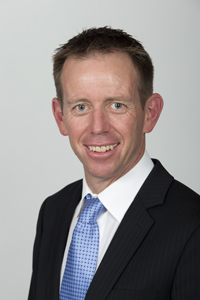 The opening address was by Shane Rattenbury, MLA, Minister for Climate Change and Sustainability, ACT Legislative Assembly. He invited community comment on the ACT Climate Strategy to a Net Zero Emissions Territory. The Minister surprisingly admitted that the Australian Capital Territory (where Canberra is) was easily able to become carbon neutral. This could be done as the ACT doesn't have a lot of coal fired power stations to replace. ps: I am just finishing updating the notes for my course "ICT Sustainability" being offered by ANU in First Semester, starting online 19 February.